The Bookmobile follows a two-week schedule, stopping at locations on the Red Schedule the first week and the Blue Schedule the second week. Schedule variations may occur due to weather, road, or traffic conditions. The public is welcome at all Bookmobile stops. Your browser does not support inline iframes. Visit Map of Bookmobile Stops. 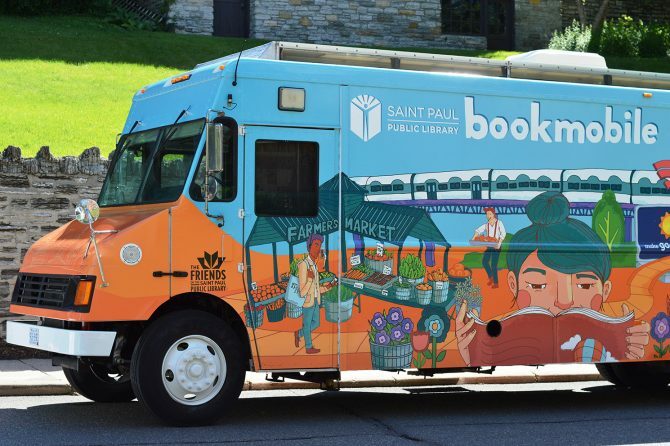 If your organization or community event is interested in hosting the Bookmobile, please call 651-266-7450. The Bookmobile is sponsored by HealthPartners.